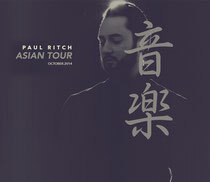 After a two-year absence on Asian stages, Paul Ritch is currently engaging its electronic music scene with his take on the techno sound. 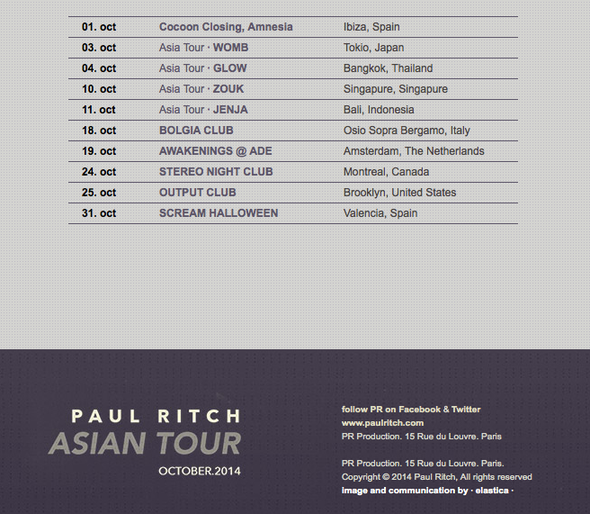 He’s just started a two-week tour this month, playing at four Asian cities. The tour kicked off tonight at the legendary WOMB club in Tokyo, Japan before heading to GLOW Bangkok in Thailand, then ZOUK in Singapore and a final farewell to the oriental crowd at JENJA, in Bali. Paul’s next stop will be Europe, where he will play in Italy and at the Awakenings ADE Sunday Special in Amsterdam, Netherlands. He then crosses the Atlantic to perform in Montreal, Canada and at the Output Club in Brooklyn, New York. Check the full dates above.